In this Concourse article, we’d like to welcome you to the new Gogo Portfolio. 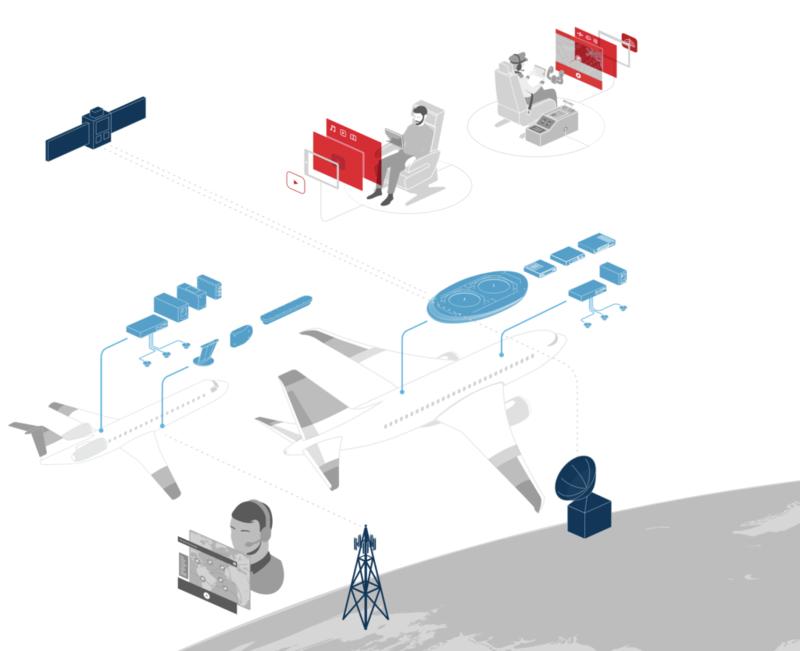 The Gogo Portfolio reflects a new way of thinking around all of the products, services and technologies that make up our inflight experience. In the video below, we’ve created a great way to show what the Gogo Portfolio means, and how it will change connected air travel. 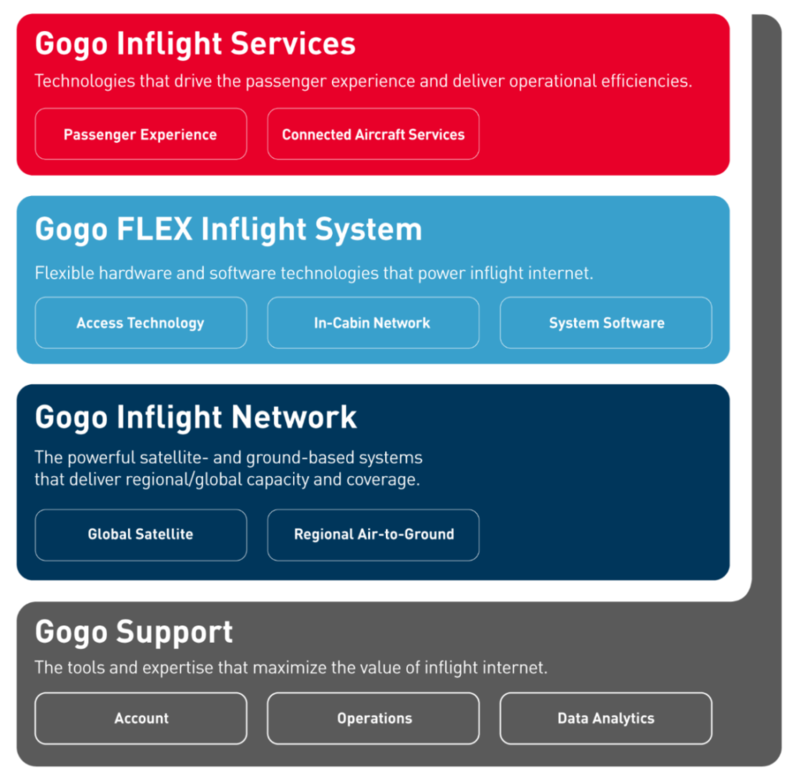 Gogo’s Inflight Services drive the passenger experience and deliver operational efficiencies for our airline partners. With over a decade of providing IFEC solutions, Gogo has mastered the art of providing a best in class customer facing experience. This experience includes the inflight portal, along with all of the entertainment content available through streaming services, stored movies and TV as well as our live television service. The same effort put into the passenger facing experience is also used to create customizable services for the thousands of people working behind the scenes at the airline. These experiences include highly advanced cockpit services like predictive weather and turbulence tracking, but also ground crew tools for efficient aircraft maintenance, passenger manifest management on mobile devices for the cabin crew and even seat-to-galley ordering technology for food and beverage service. The motto here is simple: happy passengers make loyal passengers, and we believe that happiness means ensuring our airline partners have every single tool needed to drive satisfaction through personalized and differentiated passenger experiences. The Gogo FLEX Inflight System includes all of the hardware and software required to install our inflight internet and entertainment products on aircraft. These include our advanced in-cabin network, our advanced ACPU-2 inflight server, as well as its operating system, Gogo FLEX OS. And finally, the FLEX Inflight System also includes the equipment installed on the plane that provides access to our 2Ku and upcoming ATG-NG inflight networks. The Gogo Inflight Network includes our global satellite network and our upcoming regional ATG-NG network. 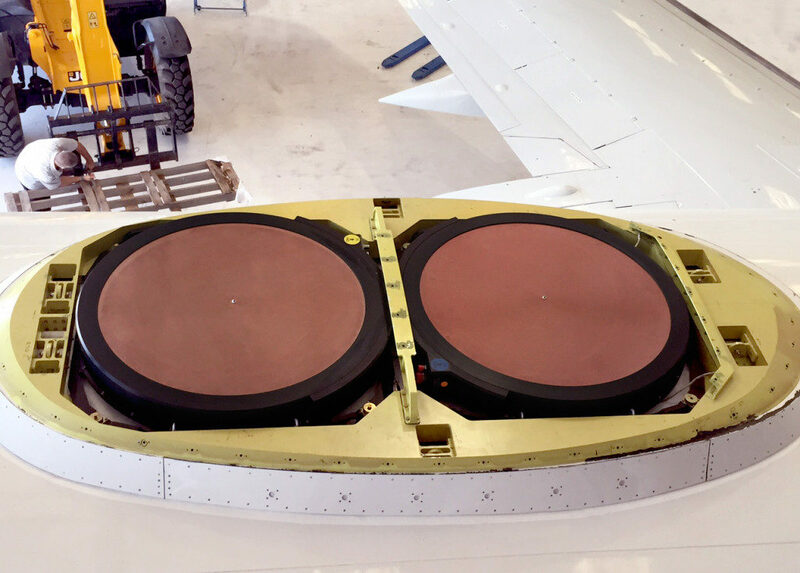 Combined with the hardware from the FLEX Inflight System, the aircraft gains access to ground connectivity which in turn provides connectivity to the crew and passengers. 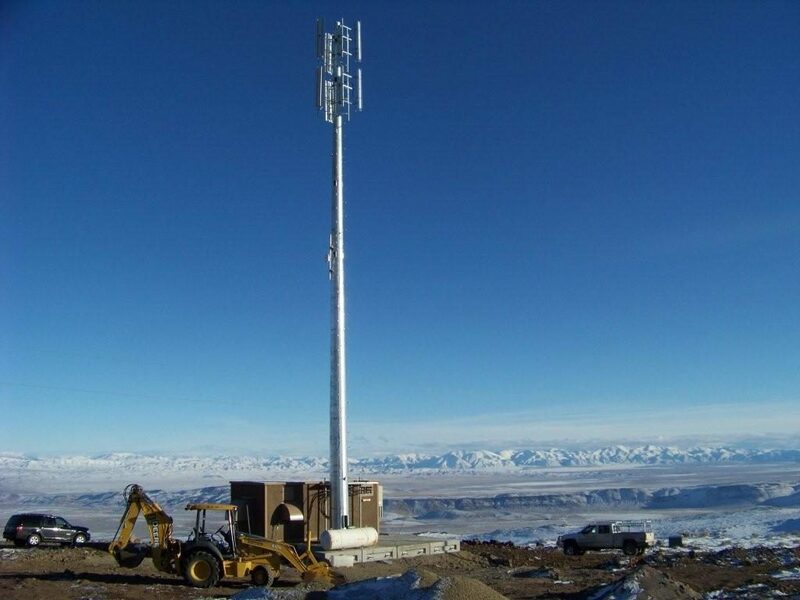 As a technology and network agnostic provider, we always select the best network, taking into account where the plane will primarily fly, the number of passengers and the expected usage. Gogo Support is the overarching component that provides management, operations and analytics for all three main parts of the Gogo Portfolio. 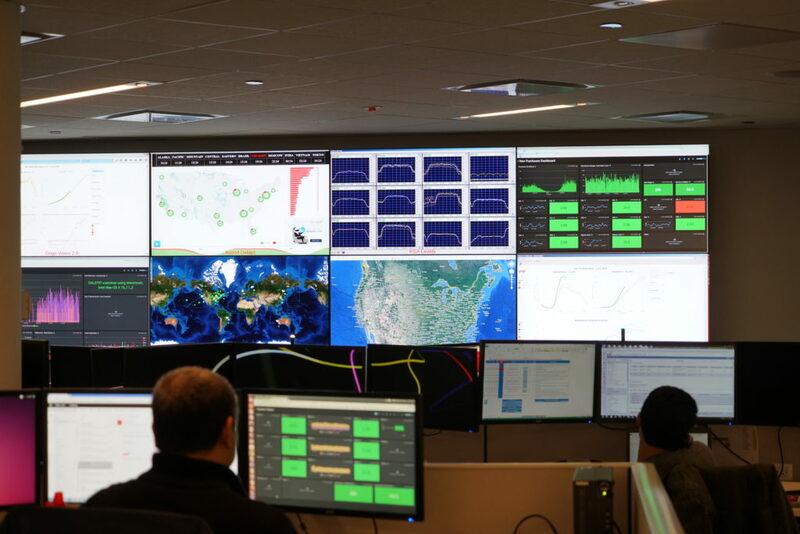 Our 24/7/365 global network operations center manages every part of our network, including performance of individual aircraft, ground based cellular sites and teleports to ensure we’re always delivering the best possible performance for our airline customers and their passengers. Thanks to our experience, we can install our products on all aircraft types or assist airlines with training to install themselves. Gogo also provides marketing and crew support, training for flight crews and the right marketing materials to help build awareness of available IFEC services for airline passengers. Gogo’s 24/7/365 customer care center is always available to help customers get connected, and provides multi-lingual support through chat, email, phone and social media.